Anri Sala, No Formula One No Cry, 2002. Sound, 3:20 minutes. Design: Anri Sala. Photo: Anri Sala. Courtesy of the artist and Chantal Crousel Paris. Gallery On The Move is proud to present TAXI during Parallel Vienna and Art Market Budapest. TAXI is an ongoing site-specific project that takes place inside a taxi, for which each artist is invited to propose a sound piece to be played within the car. 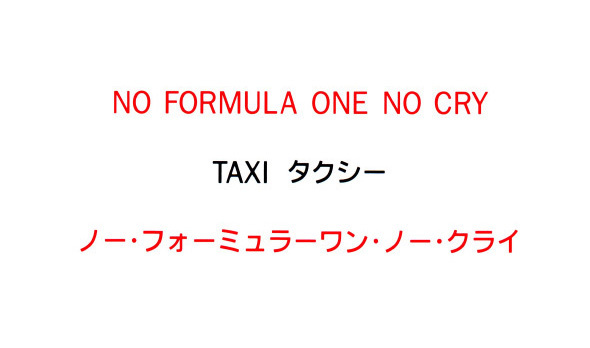 TAXI originates from Anri Sala’s No Formula One No Cry, consisting of a soundtrack in which sounds of Formula One cars are heard along the barking of stray dogs. The presentation of Sala’s soundtrack is done in different taxies around the world, from Frankfurt to Miami. The project is also accompanied by business cards that help establish direct contact with the taxi driver. Anyone interested can order the cab by calling the number on the card and asking the taxi driver to turn on the sound project for the duration of the trip. One can find the business cards Gallery On The Move’s room at Parallel Vienna (nr.60—Project Statement) from September 22 until September 27, 2015, as well as at Art Market Budapest in Gallery On The Move’s booth (G107) from October 7 until October 11, 2015.